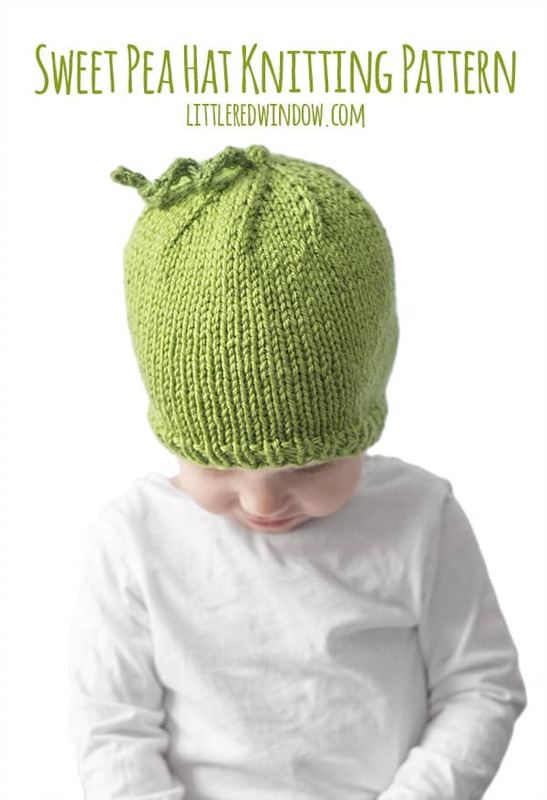 Knit up this easy and adorable sweet pea hat for your sweet newborn, baby or toddler! 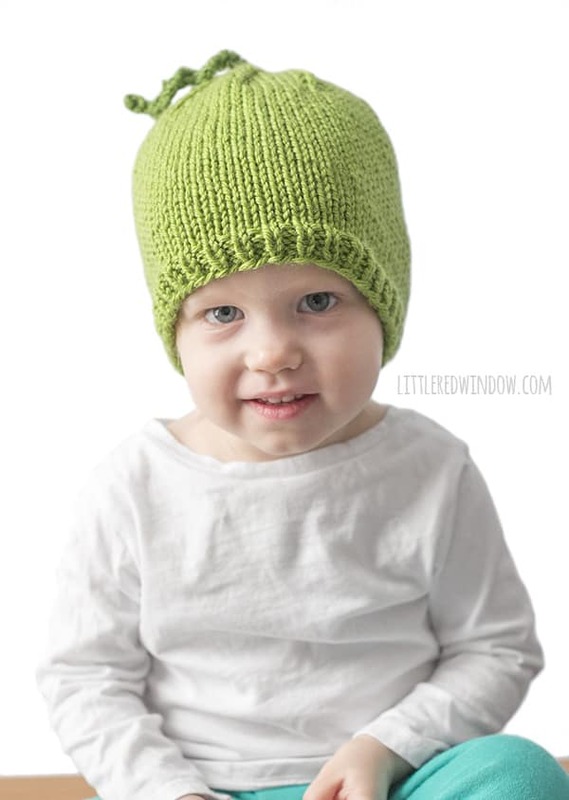 This adorable little sweet pea hat is a perfect easy knit for your sweet pea. And seriously, if anyone has twins or triplets, how cute would they be in matching sweet pea hats?! Little peas in a pod! If you do that, please please please share a photo with me! Sweet pea hats for all the babies! 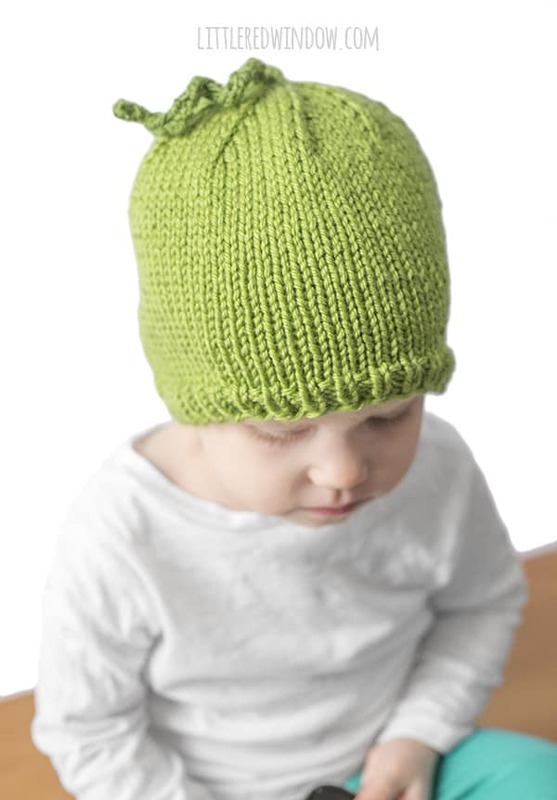 Dress your little one in a green onesie or even better, a green swaddle and your little sweet pea hat and your cute little pea is all set in their cozy peapod! 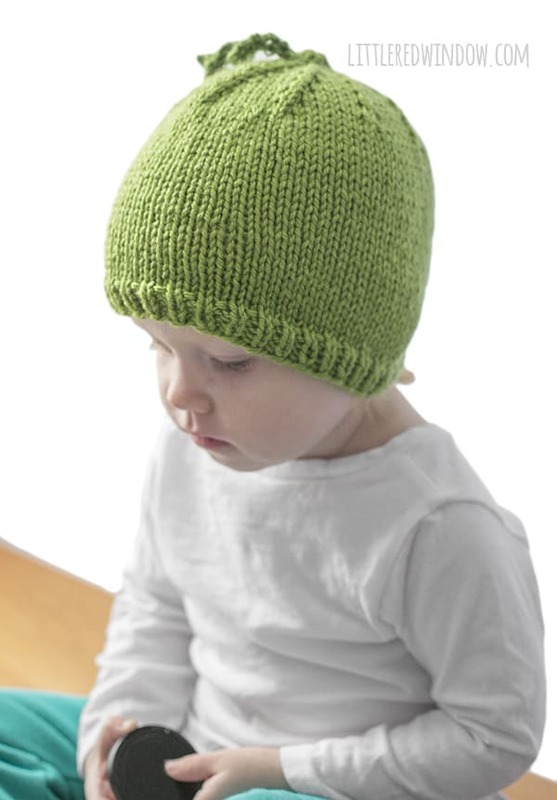 Using long-tail cast on, cast on 72 stitches with the pea green yarn onto your circular needles. Join to knit in the round and knit 1 stitch, purl 1 stitch in a rib stitch for 4 rounds. Then knit all stitches until the hat is about 5 inches long. Round 15: k2tog and repeat to the end of the round. Repeat rows 1-4 until your curly tendril is as long as you want it, then bind off, cut yarn and pull through loop to close, weave in that end. Use the long cast on tail to stitch the tendril securely to the hat. 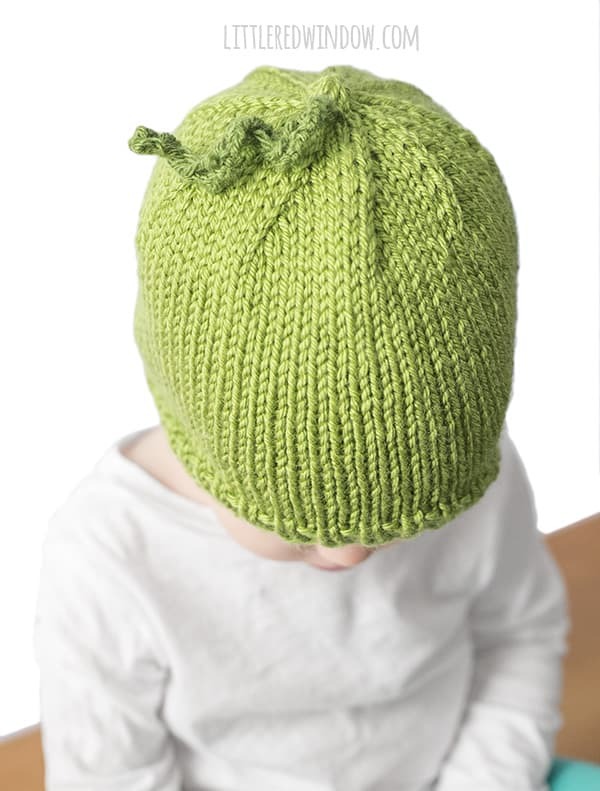 If you want a super easy to print pdf pattern with instructions for the pea hat in all four sizes, click here!